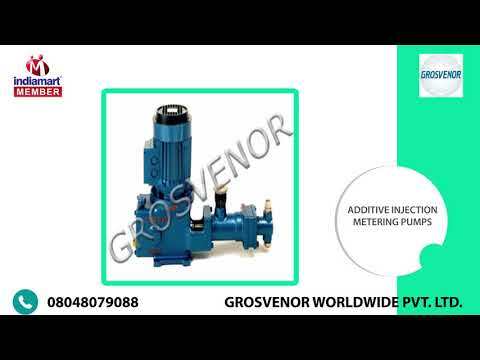 Grosvenor has been a leading name worldwide in manufacturing of Industrial Pumps and Accessories & Dosing Systems & now Grosvenor Pumps (India) Pvt. Ltd. Are manufacturing these pumps in India in technical collaboration with Grosvenor Pumps Ltd., U.K. These pumps can be offered in various materials of construction for wetted parts depending upon the requirement of the customers, such as SS-316, Polypropylene (PP), PTFE & any other material.